Shannon is an attorney, mediator, and advocate for social change. In his spare time, he frequently goes swing dancing and tango dancing in New York City. It has been 20 years since I first heard of meditation and mindfulness. Twenty years have gone by and I still have not become a master meditator; twenty years in which I have not learned how to calmly ride the ups and downs of life; twenty years in which I have succumbed to the appeal of phones and constant connection to the world via social media. Why is it so hard to master quietness, to master the art of doing nothing for a short period of time? The truth is, it is so easy to distract yourself – with social media, with food, with chores, with work, with anything. And the distraction serves a purpose – it takes your mind away from discomfort, hurt, or boredom that might be hiding there. Sometimes you receive $$ pay and social reward from being so distracted all the time (with work). But distraction can also take you away from feeling joy in the present moment, often at times and in places where you did not expect it. When something is stuck at the top of your mind, people notice. It is no surprise – it happens on TV shows all the time. If you do not process your emotions on your on time in your own space, someone else will have to help you with it later – perhaps in public or at the office. This is not necessarily bad; the world might be a nicer place if we could bring our personal lives to the office. But if you come to work upset you are unconsciously asking a coworker to provide emotional support when they may or may not be prepared to or good at it. Promoting the selection of diverse neutrals in mediation and arbitration has long been a matter of gentle suggestion to clients that maybe they want to try a newer mediator/arbitrator who can bring a diverse perspective. In the majority of cases, clients (often big corporations) choose the person with the longest track record or the one with the biggest name recognition. That person is almost always white, and male, due to the long history of overt and structural racism and sexism in America. In comes Jay-Z. His legal team connects the dots between a diverse panel of neutrals and due process under the law. According to news sources, they argued that the absence of African American neutrals on the AAA panel (for large and complex cases) is a violation of equal protection and equal opportunity to a fair and impartial adjudication. Although the NY Supreme Court Justice only issued a temporary injunction on the matter so that it can be argued in full later in December, the precedent has been made already in the news media that lack of diversity can equal lack of due process and equal protection in the ADR context. This is a groundbreaking development and I look forward to hearing how it develops. Among all the shootings this year, the recent yoga shooting is the most sadly paradoxical. This is because yoga teaches people to calm the mind, to control their reactions to feelings and emotions, and to see and appreciate the small kindnesses in life. 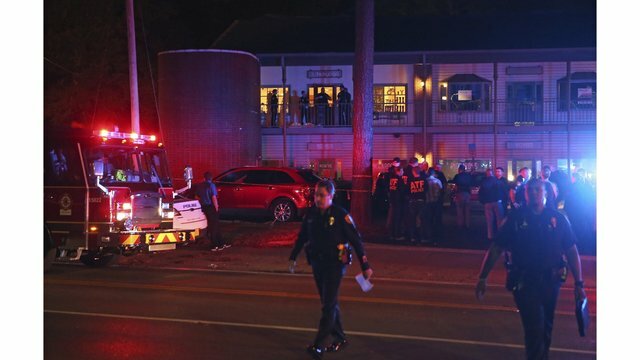 The man who perpetrated this crime had a long history of misogyny and it is not entirely clear why he targeted a yoga studio, but it probably had something to do with his anger towards women for not sleeping with him (he identified as an “incel” – involuntary celibate). He did not even know any of the women in the yoga class that he targeted – it was a completely indiscriminate killing. I am hypothesizing that, if he had only gone to yoga class, practiced breathing with awareness as they teach in yoga, and worked through his anger issues, he might have gotten a girlfriend in addition to the larger issues of repairing his mental health and lessening his anger towards the world. You could say the same thing about the recent synagogue shooting or the Charleston church shooting three years ago – the (male) killer came to the right place to address his problems, but he unfortunately chose to bring to life his anger and resentment and to blame his problems on a class of people slightly different than himself, and to do it with guns. Yoga is related to mediation to the extent that, in the midst of a conflict, the calm state of mind that will help you express yourself without (verbally) attacking others is the yoga state of mind. Yoga makes it easier to achieve this state of mind by combining physical exercises and stretches with breath work and awareness of the body – for most people, awareness of the body is easier than awareness of the mind. Any exercise in general, regardless of whether it is yoga or not, helps people to get through tough emotions. So if you are dealing with a big conflict in your life, get some exercise and come back to it later. Just under a year ago, the New York City Council enacted the Freelancing Isn’t Free Act. This law established new legal protections for freelance workers, including: (1) you have a right to a written contract for all jobs worth $800 or more, (2) you have a right to receive double damages for nonpayment, plus attorney’s fees, if you sue in court, and (3) you have a right to be free from all forms of retaliation by the hiring party and monetary damages shall be assessed for said retaliation. The new law also creates a complaint process within the Office of Labor Policy and Standards, by which a freelancer can file a complaint against a hiring party and request a written response. If the hiring party does not respond to the complaint within 20 days, a rebuttable presumption is established in favor of the freelancer. What this means is that if the parties go to court, the burden of proof is put upon the hiring party to prove that the violations asserted by the freelancer did not exist or did not happen. As such, hiring parties are highly prejudiced (in the legal sense) by not responding to a complaint. With the Freelancing Isn’t Free Act as the legal backdrop, it becomes clear that hiring parties face additional penalties and fines for noncompliance with the law, including double damages for nonpayment, attorney’s fees, damages for retaliation, and fees for not providing a written contract. While litigation may still be the best option for some freelancers, this new penalty structure provides space for the freelancer and the hiring party to negotiate a dollar amount that is more than the contract value at the heart of the dispute, but less than the double damages and attorney’s fees that could be assessed under the law. Moreover, going to court is a lengthy and emotionally draining process, even when you are in the right and you win your case. It is emotionally draining because it destroys the working relationship between the parties. Through mediation, it is possible to not only recoup on nonpayment claims, but also to address and heal the emotional toll of a conflict so that future jobs and future collaboration are possible. One final tip, for freelancers who theoretically have a claim: you could file a complaint with the Office of Labor Policy and Standards, wait for the hiring party to not respond, get the rebuttable presumption, and then take that presumption with you to the mediation as a form of bargaining power. Just saying. One common presentation topic at conferences and networking events is “Tricks of the Trade” – a talk about mediation techniques that a mediator can use, usually without the parties’ knowledge, to get the parties talking or to move the parties towards a resolution. This topic appeals to mediators because there is a common perception that mediation is a magical process that resolves intractable disputes, and that if we as practitioners can learn to do that magic, we will become a successful mediator. I am here not to dispel the concept of magic in mediation, but to posit that secrecy is the enemy of said magic. I believe open and honest disclosure about what you are trying to do is the more effective way to mediate, and furthermore, it ultimately demonstrates commitment to the values of alternative dispute resolution as a whole. For example, one technique that mediators use is to preface their restatements with the phrase, “I need to make sure I am understanding what is going on.” This technique is used to suggest to the parties that the restatement of the opening statement is for the benefit of the mediator, while secretly it is directed at helping the opposing party to hear the same statement from a more neutral voice. While in fact the mediator does need to understand the facts of the case, this technique is going to get stale if you repeat it over and over in one mediation. The better option is to say, right after the first opening statement, that “I will be restating what you have told me, both for my own benefit to make sure that I understand you, but also for the benefit of communication, because the other party will hear your statement from a neutral voice and perhaps they will then be able to understand it better.” If you say this, the parties will get a preview of the type and degree of open communication that you are hoping they will use with each other. All mediators have an interest in the parties communicating to each other and understanding each other, regardless of the outcome of the case. It follows that, just like the parties, the mediator should make his or her interest in communication known. If the mediator feels strongly about a particular case reaching some sort of resolution, the mediator should also reveal that interest (without taking sides! ), because that desire to reach a resolution will affect the mediation whether the mediator is aware of it or not. In most cases, the parties will not be offended by a mediator’s desire to reach a resolution. Tricks aside, the more open and transparent you are about how mediation works, the more the parties will trust that you are taking them seriously and that you are giving them the opportunity to exercise self-determination by being informed about the process. Furthermore, you might even teach them how to mediate their own conflicts by themselves, which (might be bad for business) is ultimately better for society. It is highly controversial to suggest or to claim that you, as a mediator, can guarantee an agreement to a dispute before or during the mediation process. The ethics of mediation require that the parties determine the outcome of the dispute rather than the mediator, and that the mediator not favor or disfavor any particular outcome. Thus it is assumed that to guarantee an agreement would be to hamper the parties’ self-determination and threaten his or her own neutrality. Taking these considerations into account, I respectfully disagree. I believe that a mediator can attempt and intend to reach an agreement with the parties, so long as the mediator does not have any favor or disfavor for the content of that agreement or the completeness of that agreement. In other words, if a partial agreement on a few of the terms of the dispute counts as an agreement, and if the mediator is completely neutral as to the content of the agreement, than it does not compromise party self-determination nor mediator neutrality to guarantee an agreement prior to the start of mediation. My reasoning for examining this question is as follows: potential mediation clients look for mediation for a specific purpose, and that purpose is usually to reach an agreement on a specific issue. The ability to facilitate an agreement is the service that mediators are providing to their customers. Like any other service occupation, the job is valued on the service it provides, i.e., there is no inherent worth in the service – it only gains value in the eyes of the consumer who either gain value or lose value from it. It has long been a frustration of mine that states have set up structures and programs for volunteer mediation to resolve disputes at no pay for the mediator, while simultaneously sustaining multi-billion dollar legal (court) systems that provide a unique playing field for attorneys who are expected to charge at least $100 an hour, minimum, for their time, while often making conflicts more intense rather than less so. We live in a world where information is easier and easier to locate, read, and apply to one’s own situation. One of the attorney’s primary roles has been to keep up to date on specific areas of information that pertains to certain areas of law. Yet the other role of attorneys has been, and continues to be, to WIN cases for a client in an adversarial process – a process that systematically encourages procedural tricks, intimidation, and withholding information rather than talking things out and working towards cooperation. In both the business world and world of interpersonal relationships, more and more people are realizing that the “transaction costs” of going to court are just not worth it. In the State of Colorado, where I am licensed, official statistics show that 70% of all parties in civil court do not have attorneys representing them. Many analysts predict that this trend will only increase, as more people rely on the internet to get information. In Great Britain, chat bots are providing legal case evaluations of real claims over the internet without an actual person listening and giving advice. And in the United States, many online companies now provide legal forms for all 50 states for common matters such as divorce and writing wills. Mediation fits in by providing an alternative venue for legal disputes – with an alternative framework and lower transaction costs. Yet currently that venue is typically nothing more than a small conference room in a low-rent office building in the county in which you live, instead of an elaborate stone courthouse with a dome on top. The mediator is usually a volunteer, a member of the community who can afford not to work for a few hours during the day – instead of an elected or appointed Judge with a six figure salary. The contrast in official state support for the courts and for mediation is striking – but the difference in types of cases that each venue can handle is not. Although we may not realize it today, the stone courthouse with its strictly adversarial system is a relic of our past that will be overcome by the laws of entropy and the laws of the free market. The law of entropy states that energy moves from order to disorder and from isolation to dispersion. In society, entropy means that structures and institutions only persist to the extent that they are maintained with resources and energy, but the natural state of things is to change. The laws of the free market, assuming that they exist, state that a more efficient use of resources will be selected and favored over a less efficient use of resources. In society, the free market means that when a structure or institution becomes too expensive to use, the people will find and use alternative means to get things done. Mediation is one of those alternative means that addresses problems efficiently and quickly and at lower cost. You may be wondering – what about attorneys? There is no doubt that people will still need legal advice, and in many cases, lawyers will be needed to participate in mediation to ensure that their clients are aware of their legal rights throughout the process. But once legal information is more readily available and a non-adversarial dispute resolution system is established and funded at a level that can serve large numbers, people will (justifiably) not be willing to pay as much for attorneys as they do now.